Six inches of snow have the past 24 hours and more are on the way, according to DeBerry. 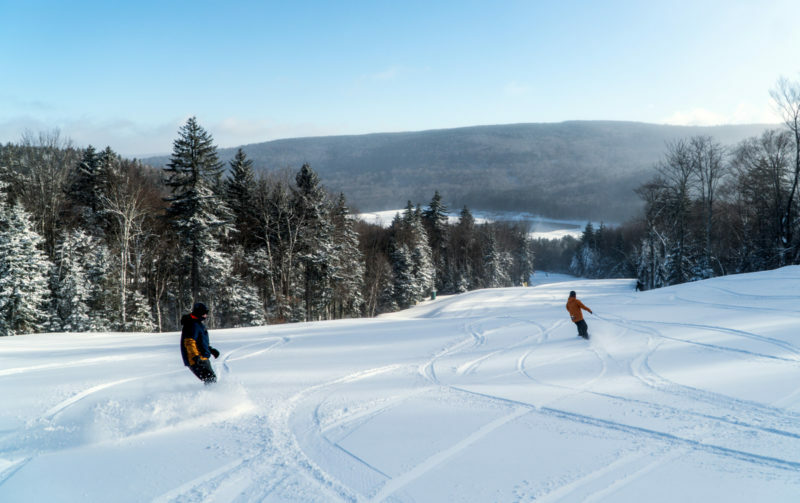 Staff at Snowshoe Mountain Resort, in Pocahontas County, West Virginia, are taking advantage of the coldest December weather pattern in years, which resort officials are haling as the “most terrain” they have had by the middle of December in well over a decade. According to Snowshoe President and COO Frank DeBerry, the resort is enjoying the best start to its ski season in more than a decade. “We’re off to an unbelievably great start to the season,” DeBerry said. “The amount of terrain and the quality of the skiing we will have by this weekend is something you normally wouldn’t expect to see until January, so hats off to our snow-making team. In addition to the excellent snow-making opportunities, the resort’s high elevation, the second highest in West Virginia at 4,848 feet above sea level, has helped administration capitalize on this week’s lake-effect snow events. Six inches of snow have the past 24 hours and more were on the way, according to DeBerry. Snowshoe will also have several events taking place this weekend in addition to the expanded terrain and fantastic conditions. At 3 p.m. Saturday the Hammertime ’90s Rail Jam, a freestyle skiing and snowboarding competition, will take place outside the Shaver’s Center. Snowshoe’s Winter Brewfest will begin at 5 p.m. in The Connection, with musical entertainment provided by Ghost Eagle and The Hillbilly Gypsies. Snowshoe was named to the Top 20 ski resorts in the East by SKI Magazine in 2017. In addition to terrific outdoor winter recreation, the resort offers extensive lodging options, gourmet dining, shopping, wedding and convention areas, and a luxurious spa. Snowshoe Mountain Resort is part of the family of Intrawest Resorts.